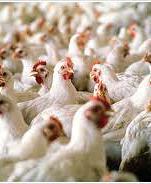 Ghana Poultry Association to Receive Support | Children's Hope International Inc.
GHANA – The Ghana National Association of Poultry Farmers is to receive a GH¢350,000.00 life-line package to boost the operations of the members and make the poultry industry more vibrant. Kwadwo Asante, the National President, said the money would come from Liberty Commodities Limited, an international trading group. © 2019 Children's Hope International, Inc.